Founded in 1980 by Dr. Ronald Whitford, St. Bethlehem Animal Clinic is a full service veterinary hospital serving pet owners throughout Clarksville, Fort Campbell, Oak Grove, Oakridge, and Montgomery County, Tennessee. After 23 wonderfully successful years of service to the pet owning community, Dr. Whitford moved the clinic to its current site. It is a beautiful facility where our clients are welcomed in a bright, naturally lit reception area with fieldstone accents, gorgeous woodwork, an attractive and fun play area for children, a decorative fish tank, separate feline waiting area with custom designed feline waiting compartments, and a unique dog water fountain. We even have one of the original Gene Autry "Ride the Champion" motorized riding horses for kids to enjoy. Beyond our reception area, St. Bethlehem Animal Clinic's medical resources and design reflect the best that modern veterinary medicine has to offer. We have managed to incorporate modern, state-of-the-art equipment, exam rooms, pharmacy, lab, and other medical assets into a facility that promotes a calm, home-like atmosphere for our clients and their pets. In fact, our hospital's design has been so well received that we were featured in the April 2004 edition of Veterinary Forum, a leading professional publication for veterinarians and veterinary hospitals. Though our facility is arguably the finest veterinary hospital in Middle Tennessee, we are by no means the most expensive. We work hard to ensure our medical services are as inexpensive as possible and will work with established clients to make our veterinary care affordable for them. We also will never push a client into a medical decision or program that they believe is financially uncomfortable. This attention to the needs and concerns of our clients is part of our effort to be a welcoming home for the care of your pet. Our staff is professional and courteous, and we often receive compliments from our clients for their friendliness and helpfulness. Additionally, our doctors are second to none. 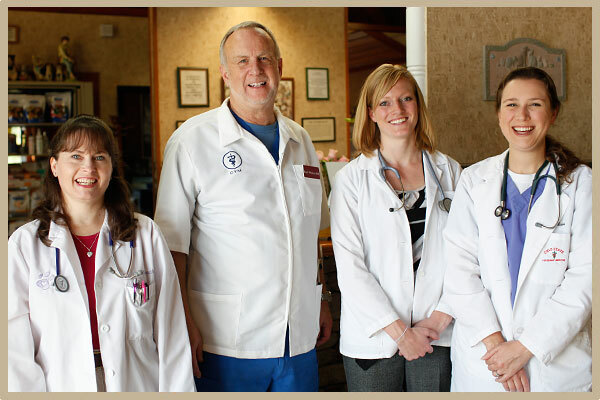 They have a high degree of medical expertise and are recognized locally and nationally for their medical abilities. Please take a look through our website to learn more about our facility, people and services and then give us a call to set up an appointment or come in for a tour of our clinic. We look forward to meeting you and helping care for your beloved animal companions.